Happy Labor Day! Hope you are enjoying your holiday and spending time with your loved ones as we say goodbye to summer and prepare for the season of "Pumpkin Spice" everything!! Personally, I cannot wait! Fall is my absolute favorite season. I love the food, the crisp, cool mornings, and yes...pumpkin spice lattes! The recipe I'm sharing today is a perfect fall family dinner. 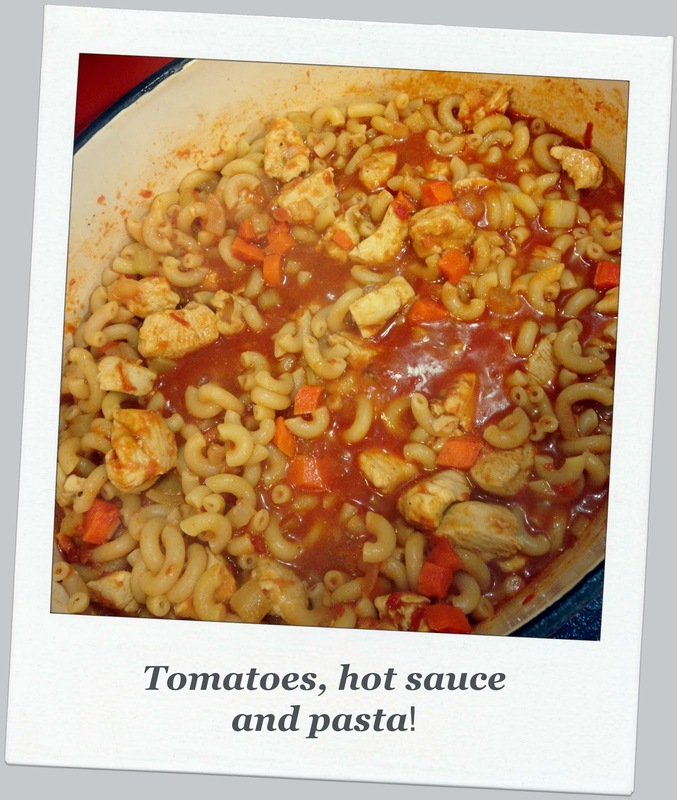 It's full of comforting pasta, chicken and veggies. Crushed tomatoes and hot sauce to warm your insides; and of course lots of gooey melted cheese! 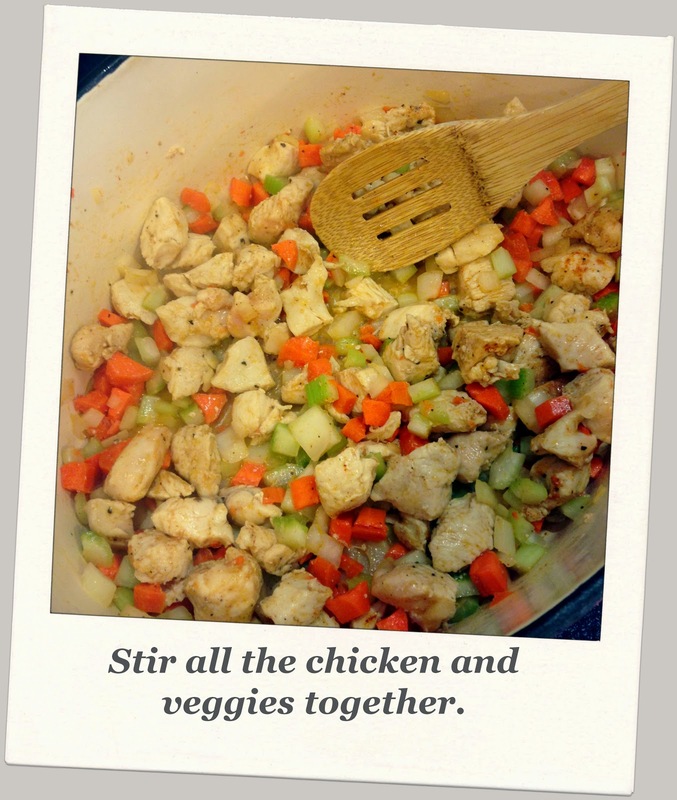 This recipe is originally from Rachael Ray and her Big Orange Cookbook. (and other's I'm sure) I made a few changes to adapt it to my family's personal tastes. I used Feta cheese instead of blue cheese; and I used cheddar with smoky chipotle instead of pepper jack. This wasn't for any particular reason...it just looked good in the grocery store! I would also have added more cheese as I don't think you can ever have too much cheese on anything!! Ok, enough chitter chatter. Here's the recipe! 1 package chicken breasts cut into bite size pieces. 1 medium or 1/2 large onion finely chopped. 1/2 cup shredded five cheese Italian blend. *Like I said, the cheese types and amounts are really up to you. I LOVE cheese especially when it's melted all over warm pasta! Seasonings to taste and preference. Prepare the pasta according to package directions to al dente. Heat a dutch oven or other deep large pot of medium high heat. Add the chicken and brown the pieces for 5-6 minutes. 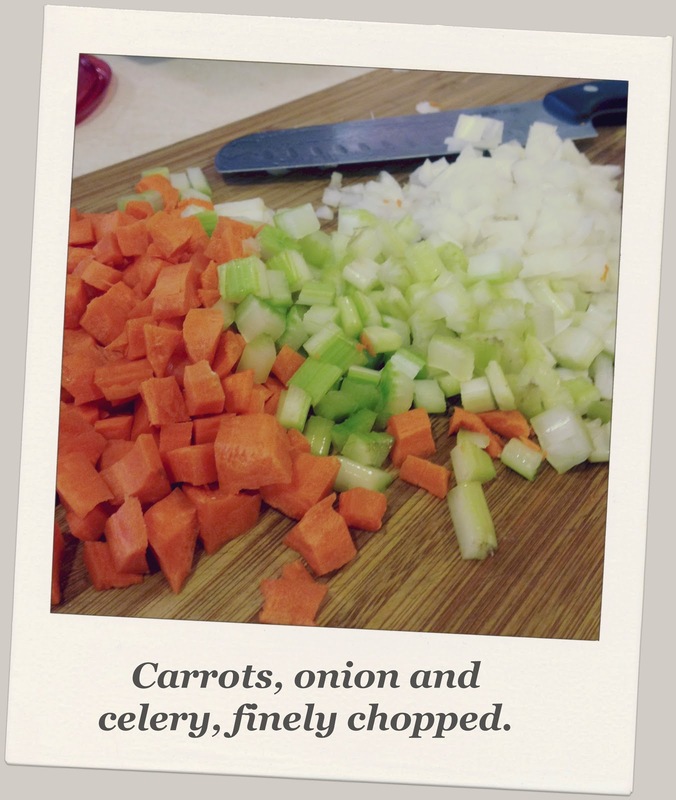 Add the chopped Veggies and cook, stirring often for 7-8 minutes until veggies start to soften. pour in the chicken stock and scrape up the brown bits on the bottom. Add the hot sauce and tomatoes and bring to a boil. Lower the heat and simmer on medium for 8-10 minutes for the stew to thicken. Add in the al dente pasta and then transfer everything to a 13x9 pan and top with all that yummy cheese you grated earlier. Bake in the oven for 10-12 nminutes until it is golden and bubbly and delicious!! Let sit for about 5 minutes before serving. Enjoy!! 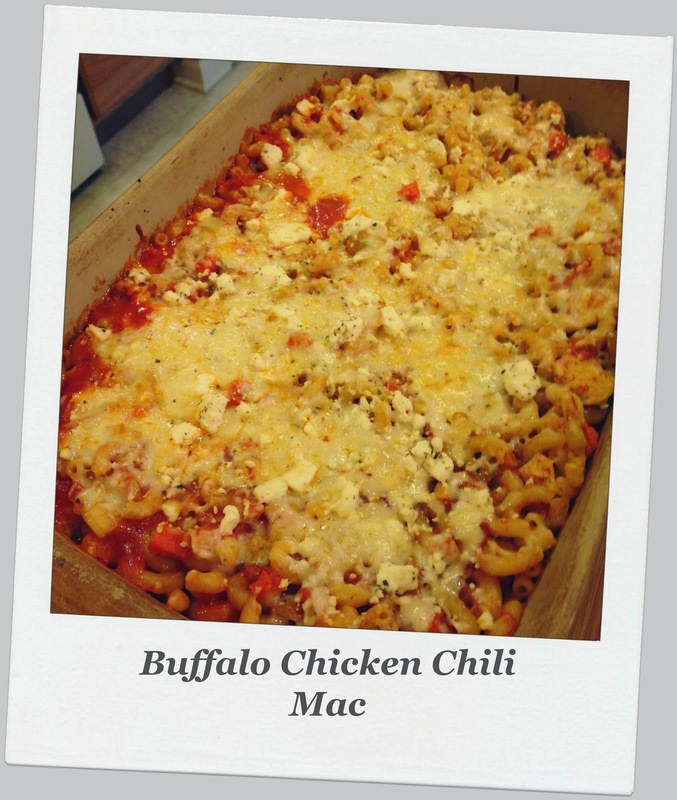 I'm linking up this recipe over at the Marvelous Monday Linky party as well as the Monday Funday Link party on Night Owl Blog. Click on the links and head over and be inspired by the creative projects as well as delicious recipes and desserts! Finally, I'd love to know what your favorite season of the year is? and also what's your favorite seasonal comfort "feel good" meal? Leave a comment and let me know! Thanks for visiting with me and I'll see you again soon! Ohhh, I bet my husband would LOVE this!